This elegant and whimsical stackable wedding band in white gold features mixed shaped frames with milgrain edging encircling different sizes of luscious round brilliant diamonds in bezel and prong settings. 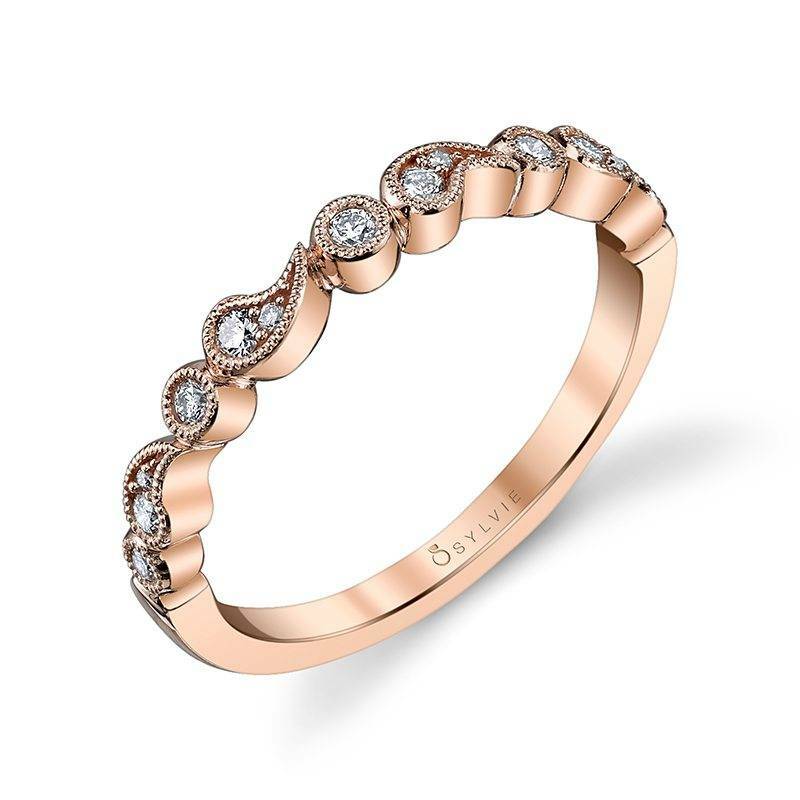 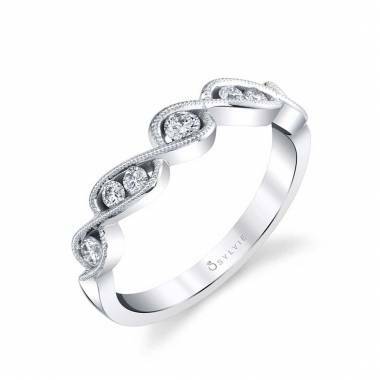 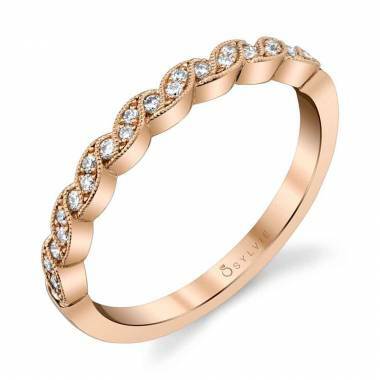 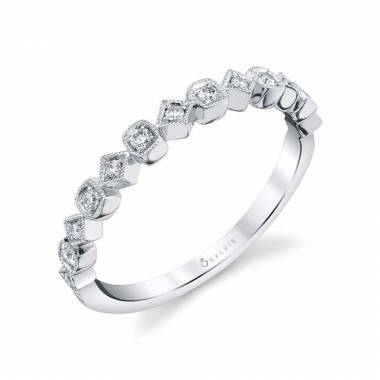 Whether paired with an elegant engagement ring or worn with a collection of your favorite stackable bands, this enchanting wedding band will enhance any style. 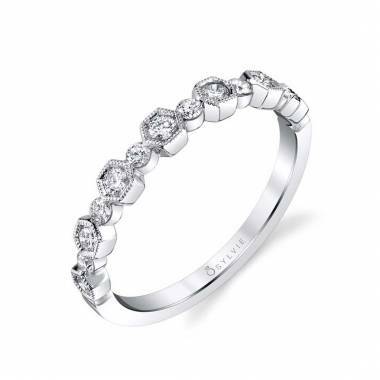 The total weight of this bewitching band is 0.16 carats.